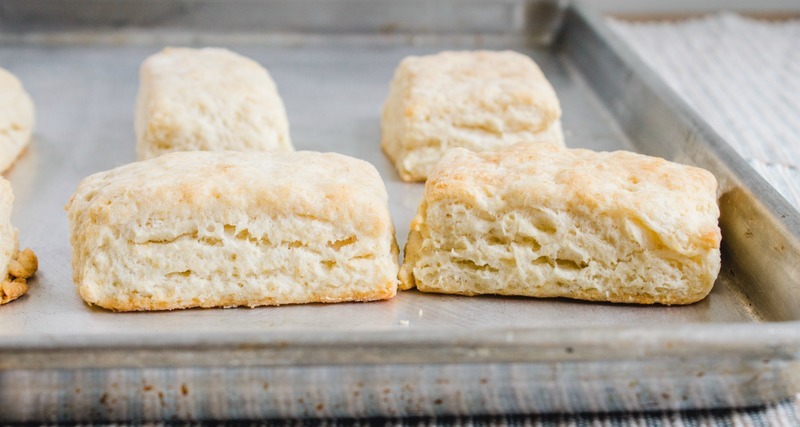 There's no denying the primal draw of a perfect Southern biscuit. Whether flaky or tender, tall and layered or short and round, these classic quick breads are truly an indispensable part of our cooking. But no matter how much of a biscuit expert you are, there's always something more to learn. 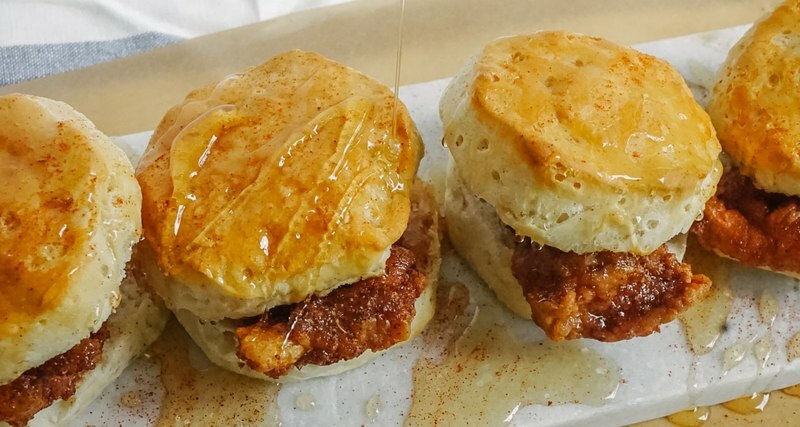 Read on for our complete guide to Southern biscuits. Biscuits can come in every shape, from tall and flaky to tender and crumbly, and everything in between. Loaded with herbs, filled with savory country ham, or good old fashioned buttermilk — any way a biscuit is made, we'll surely scarf it down. Which makes a better biscuit: buttermilk or cream? We've talked about buttermilk before. From fried chicken brine to perfectly easy pie, it is an essential ingredient in any Southern pantry. But what if a biscuit craving strikes and you're flat out of the stuff? Even worse, you don't have any yogurt or kefir (does anyone here drink kefir?) or any other tangy dairy product laying around. (This happens to me all the time.) 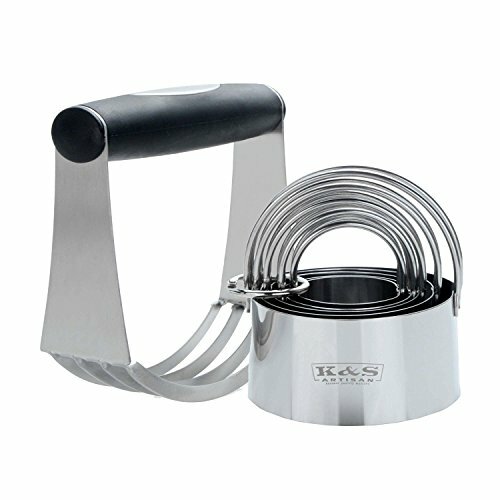 Can you still make biscuits? What about using cream instead? And what do those liquids do anyway? No matter the biscuit recipe, you'll read a long and drawn out argument as to why butter or shortening is the superior fat. 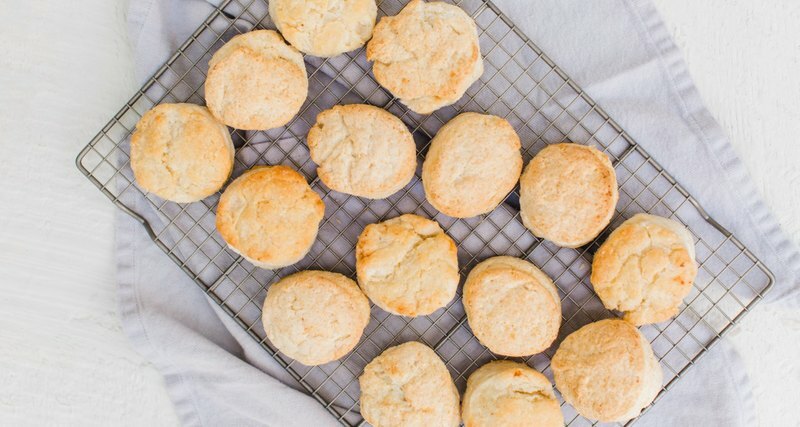 We're willing to bet that there are plenty of readers who fall into both of these camps when it comes to biscuit baking; we have always preferred butter. But until recently, we hadn't actually taken the time to compare these ingredients to see what they actually do in our biscuits. Unfortunately, not all biscuit recipes are created equal and a few contain some fundamental flaws that may leave you with inferior biscuits. 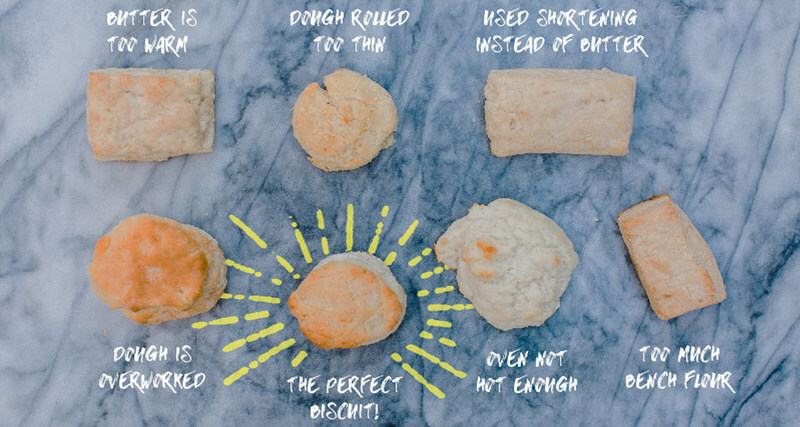 Don’t worry: we’ve taken the time to bake intentionally bad biscuits to illustrate some common baking pitfalls and how you can avoid them. 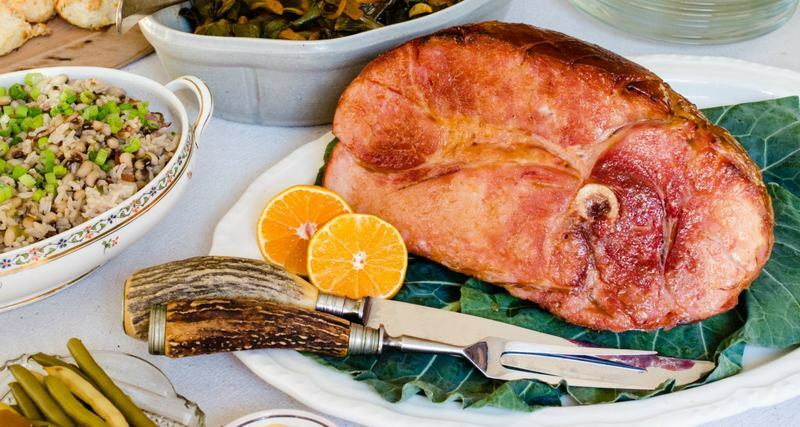 Virginia Willis is one of the South's most significant chefs and cookbook authors. For Mother's Day 2017, she wrote an article for Southern Kitchen in which she shared memories of learning to cook with her mother and grandmother, along with a fantastic buttermilk biscuit recipe. She was also kind enough to offer five helpful tips for making biscuits at home — use the advice below with her recipe or any other great biscuit recipe you keep handy, and make your next batch your best batch. 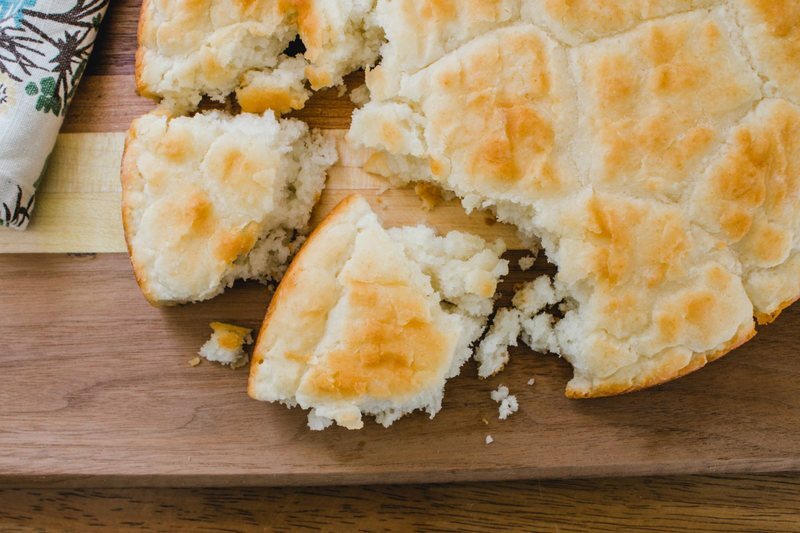 If you’ve ever had the misfortune of eating a biscuit outside of the South, you start might ask yourself why other regions of the country fall short on the road to biscuit goodness. 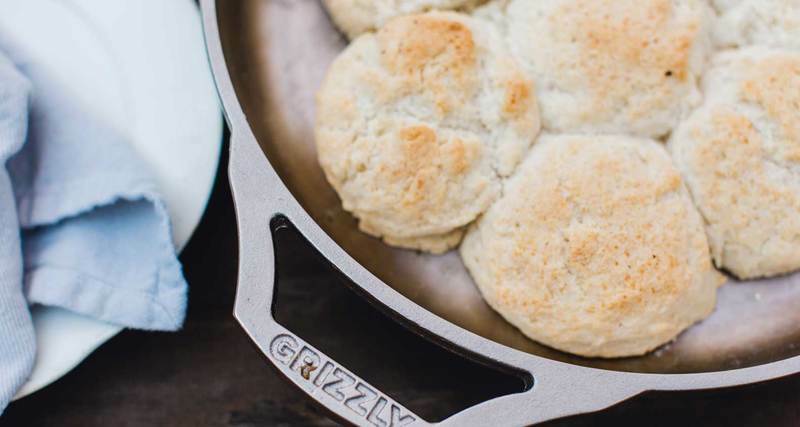 We can likely attribute some of it to tradition: Southerners have been making biscuits for generations and have had ample time to hone our craft. However, any chef with good technique can produce a decent biscuit. If butter or shortening and buttermilk are the controls in our experiment, the real variable lies in the flour. 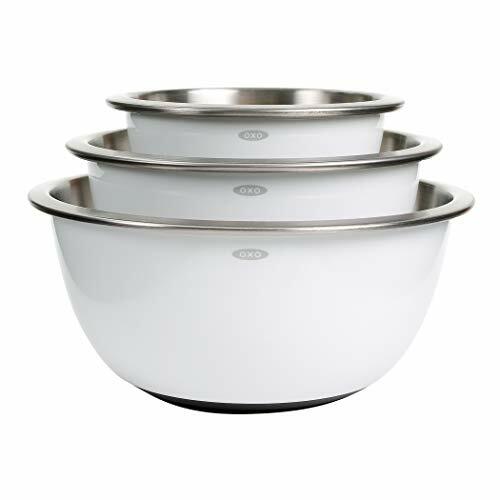 Ask any Southern chef or sagacious biscuit grandma and you’ll hear a pattern emerge: they all swear by White Lily flour. Chef, cookbook author and biochemist Shirley Corrhier is famous for many things. Her two seminal cookbooks, "CookWise" and "BakeWise," offer detailed examinations of just about every food that appears on an American table, with the attention to detail of a Harold McGee and the good natured wisecracks of your favorite great aunt. One such recipe, included in both books, is her version of her grandmother's Touch of Grace biscuits. 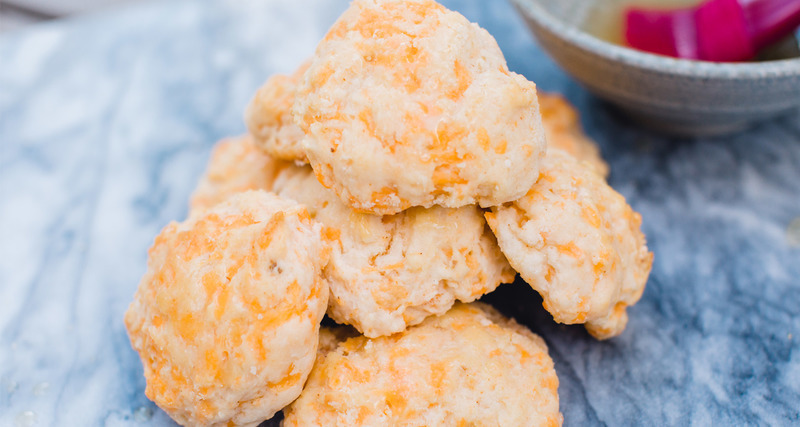 Ask anyone from your truck-driving uncle to the snootiest food blogger to name the best item available at Red Lobster, the odds are high that you’ll hear the same response: Cheddar Bay Biscuits. In a chain restaurant menu wrought with pre-packaged, sugar and salt-laden chow, these cheesy, butter bombs given away gratis at the beginning of the meal earn praise from even the most discerning palates. But you don’t have to force your way through a Red Lobster dinner to find the pot of cheddar-studded gold at the end of the crustacean rainbow. We’ve created a copycat recipe that you can make at home with little fuss. While Southern biscuits and Nashville's famous hot chicken are popular independently, together they make a delectable combination. If you've ever eaten a piping hot biscuit out of the oven or tasted Nashville's famous twist on fried chicken, then you know the joys of incredibly good food. Whether cooking for breakfast or dinner, this super simple chicken and biscuits recipe can be made quickly and isn't short on flavor. 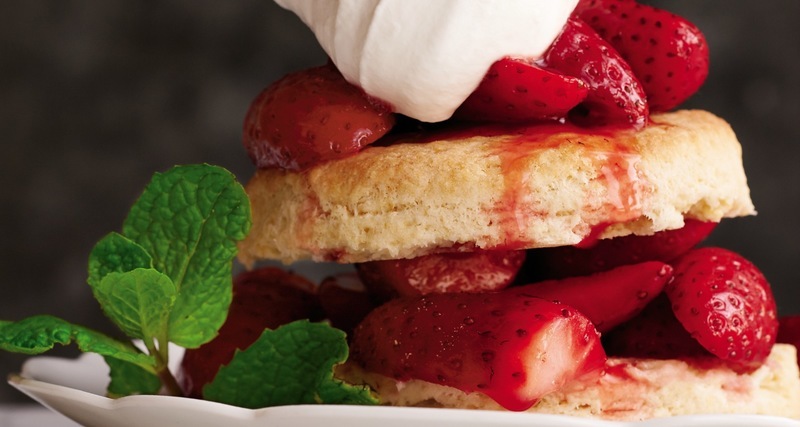 Hot biscuits are split, buttered and piled with sweetened fresh strawberries, and loads of real whipped cream. The saltiness of the biscuits and butter balanced the sweet flavor of those berries for a summertime treat that can't be beat. You don’t have to be a connoisseur to enjoy a good biscuit in the South. A number of fast food chains have added biscuits to the menu to help you save time while still enjoying this Southern food. But which chain has the best biscuit? 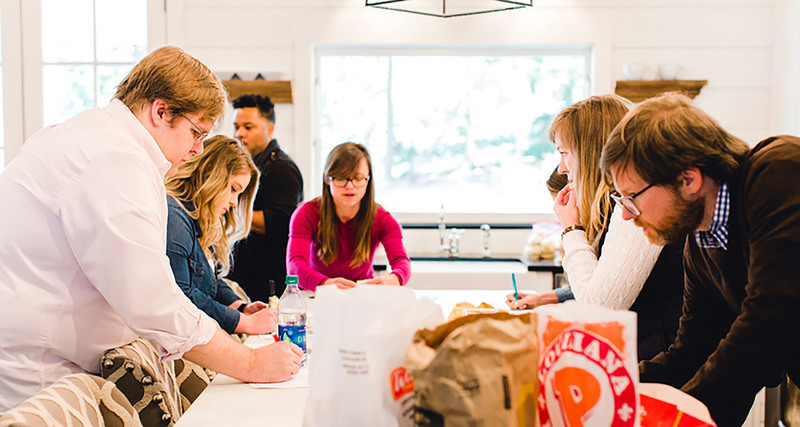 We had to know the answers, so we did the tough work for you by tasting biscuits from a variety of fast food chains in the South. Biscuit traditionalists might argue that if made correctly, a biscuit is delicious on its own. And we agree. 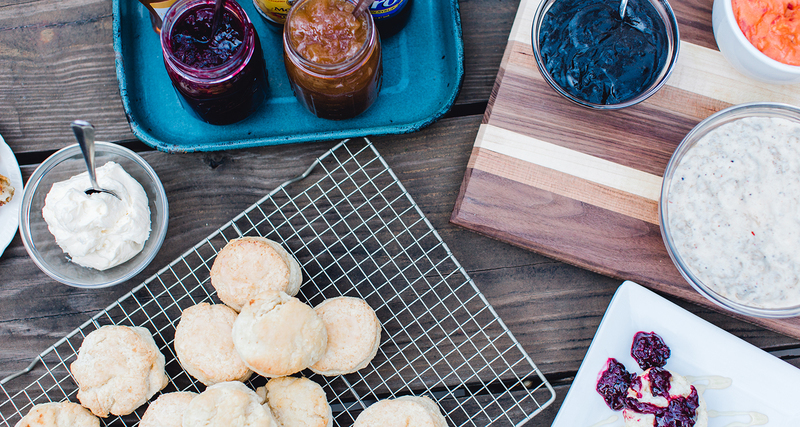 We love a plain buttermilk biscuit, but every once in a while, we want to add depth and texture to the flavor profile. 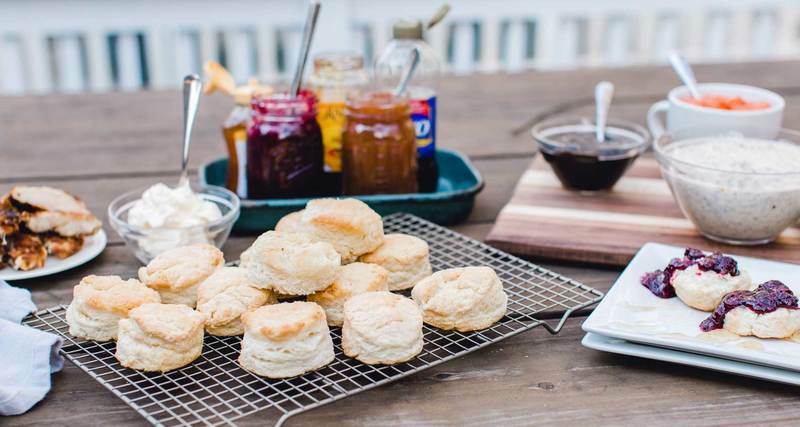 With a smear of jam or a drizzle of honey, you can transform a Southern biscuit into a savory or sweet snack perfect for breakfast, brunch or dinner. Boasting numerous methods, preparations, and flavor combinations, gravy could practically be a religion in the South. 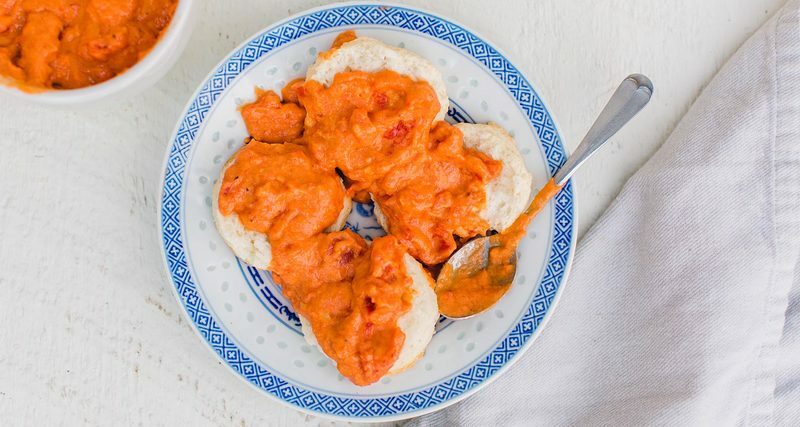 In this recipe roundup, we highlight 11 classic Southern gravy recipes, most of which can — and should — be served on top of a hot, buttery biscuit. 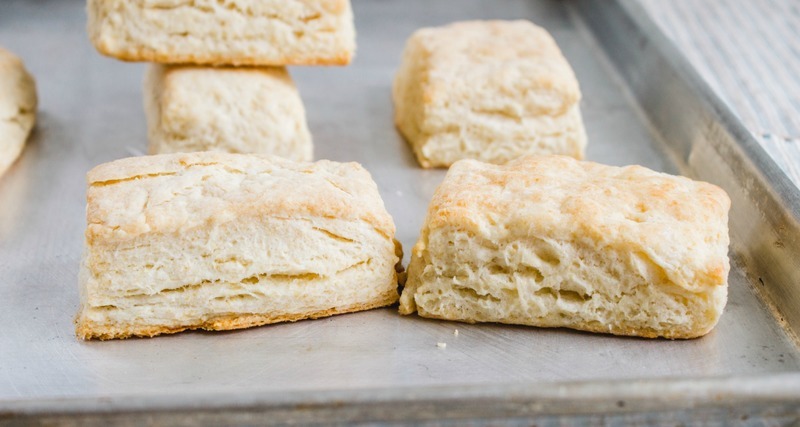 Nothing brings people together like carbs, and in the South, the arguable king of carbs is the Southern biscuit. 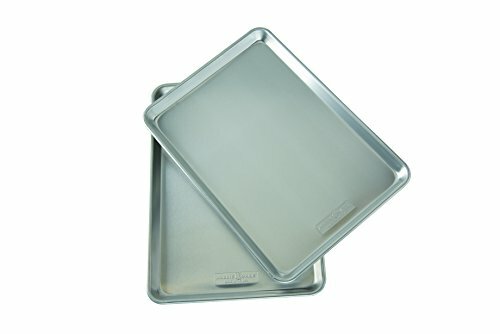 We eat biscuits any time of day, and find a way to make breakfast, lunch and dinner biscuits appropriate. This spring, we’re taking biscuits to the next level by throwing an event dedicated to the glory of the Southern biscuit: a biscuit party!